Cover photo from the album "Happy Woman Blues." The daughter of English professor Miller Williams, Lucinda Williams was born in Lake Charles, Lousiana, and spent most of her youth moving from college town to college town in the American South and South America. Lucinda had begun singing and playing in 1965, at age 12, when Dylan's Highway 61 Revisited was the album on every hip tunrtable in the Louisaian college town where she then lived. Though too young to be part of the 1960s Folk Revival , she nonetheless followed her passion for folk, country, and blues music. In 1974, she became part of the Texas alt-country scene, spending time in Austin, Houston, and Nashville. Her friend, Jeff Ampolsk, who had just released his God, Guts and Guns on Folkways suggested she send a tape to Moe Asch in New York. She was accepted as a Folkways artist, and made two records for the label: Ramblin' in 1979 and Happy Woman Blues in 1981 (re-issued in 1990 on Smithsonian Folkways). During the same period, she also had two songs published in Broadside magazine, "Lafayette" and "You Don't Have to Hustle Me." Lucinda's style is largely blues and folk based. Ramblin' is a series of cover and traditional songs, with few originals. Her second album, Happy Woman Blues, is filled with originals that showed off her unique style of songwriting and the influences of the Delta bluesmen she grew up listening to in Louisiana. Happy Woman Blues defined Lucinda as a recording artist, bridging the gap between contemporary and folk/blues. Since her start with Folkways, Lucinda has gone on to record numerous highly-acclaimed albums with other independent record labels, and has been enthusiastically received by country/blues/ contemporary audiences as both a singer and songwriter. She won two Grammys for Car Wheels on a Gravel Road (Lost Highway) in 1998, and Essence (Lost Highway) in 2001, after which Time Magazine named her songwriter of the year. Throughout her career, Lucinda has kept in touch with her Southern roots. Folkways is proud to have been there at the beginning of her incredible career. 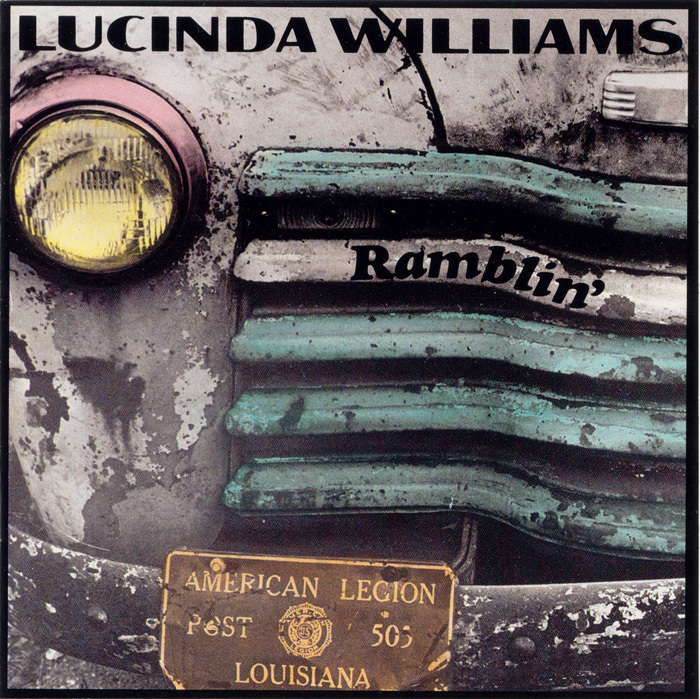 In 2001, Time Magazine named Lucinda Williams songwriter of the year.